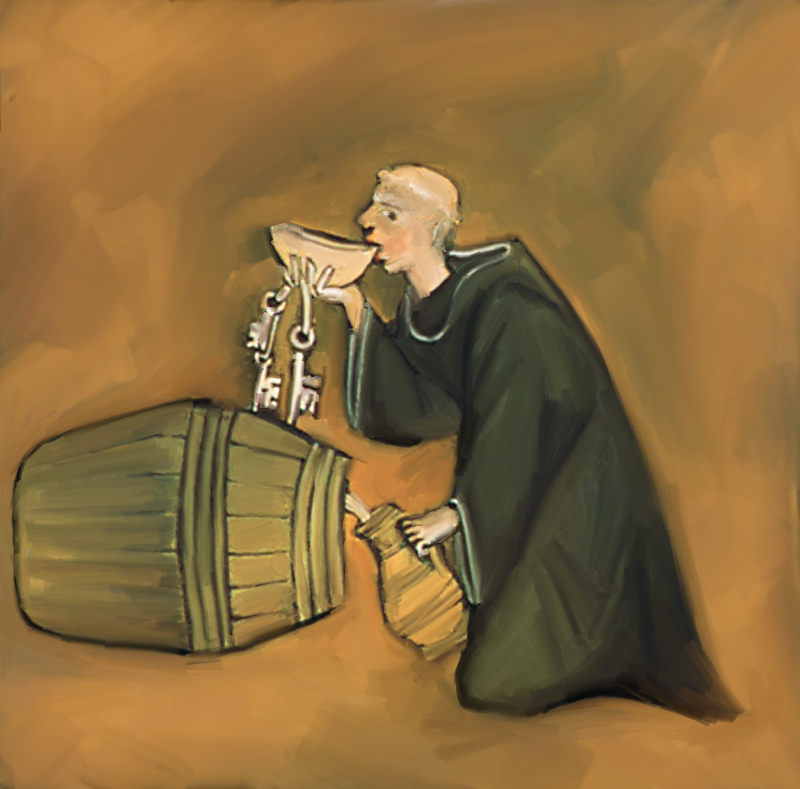 I have made comments recently on a few sites regarding medieval times and it seems to me that there are many, many myths about how awful it would have been to be a serf. In reality, many serfs were the predecessors to the later merchant class and were, in fact, quite well off. They ate pretty decently for the times. They ate a reasonably healthy diet though very bland compared to ours. Rye, oats, and barley were staples; wheat was grown but mostly sold rather than eaten. Cabbage, spinach, peas, and beans were staples as well. Chickens were too valuable as egg layers to sacrifice for meat for the most part. 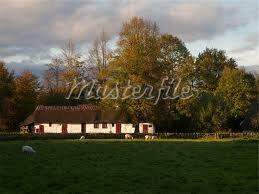 Cattle were raised for milk and meat, oxen for plowing, sheep for milk, meat, and wool. Nuts and berries were gathered in season, beer was brewed and was also a staple of the diet. The poorest of the poor ate their grain as a gruel rather than ground it but even they generally had at least an onion for flavor. And everyone ate bread. Lots of bread. Because that’s what it more generally looked like. Truth: um, yeah. I dare anyone who has a mortgage to just pick up and leave everything behind. And does moving somewhere else really make anything better, or does it just give one a new set of problems without necessarily improving one’s station in life? We are slaves as well, slaves to our jobs, slaves to our debts. A careful serf could save up the money to purchase his land from the lord; many did and became minor nobility in later times. This would free them from paying rents to the lord and leave only his mandatory taxes and tithes to pay. 1000 years later and I really don’t think the life of the average person is much better regarding freedom than it was in medieval times; it may in fact be much harder. Myth number 3: you spend all your days working the land for the lord and only get to do your own when that’s complete, which it never is. Truth: There were tasks that needed doing in every month, some harder physically than others, that needed doing. Period. For everyone. I took this from a website because it was short and sweet and to the point but it shows that there was not backbreaking work in every day of the year. January & February – work indoors repairing hunting nets, sharpening tools, making utensils – on mild days work outdoors gather firewood, prune vines and mend fences. March – work in the fields, plowing and cultivating. October – gather nuts, roots, berries, and mushrooms, fields plowed and empty fields sown with winter wheat, repairing and cleaning equipment. Taken from an article by Lisa Nikola http://www.historylink101.com. There were religious festivals on which no one worked in the fields check out this medieval holy day calendar! Feasting and socializing were normal and accepted, and in those times the left overs were given to the poor at the kitchen door of the castle. No one went hungry on feast days. Try imagining any modern American wealthy person giving the surplus from a banquet they held to the poor. Having a hard time imagining that? Me too. So there you have it. Money wasn’t necessary for every day life, you didn’t have to spend ‘x’ number of hours every day or every week at a desk for a paycheck, you were free to organize your time (mostly) the way you want, you got to eat lunch with your family and friends every day, and you got lots of days off. And you got beer for breakfast, lunch, and dinner. Not, all in all, a bad life. 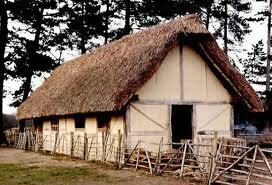 For more information, do a search on medieval farming, medieval beer, medieval agriculture, medieval life. I already knew a lot of this from my own research, but here’s a site you might like with interesting facts. It’s Hobson’s Choice. Nosalgia for an economic model whose time has passed, whose time has come again. I watched an excellent documentary from the 80’s on The Shakers the other night. Contained within it was a quote from a Shaker made shortly after the Civil War, when mass produced cloth became so common it was cheap. Too cheap in fact. He lamented that it’s cheaper to buy cloth than to make it. But it’s cheaper to weave it than buy it because of the quality of the hand made so exceeds the quality of the mass produced. Thus, garments and items made from the cheaper cloth must be replaced sooner and mended more than those made from hand woven cloth. He went on to say basically, that it’s a predicament for which there are no good solutions. 140-something years later and this is still a true statement. A hand woven dish towel will last 20 years easily; the dish towels bought from Costco, even though of ‘higher quality’ than the dollar store versions, will last no more than 5 at best. But you can buy at least four dollar store towels for less than even one hand woven one. For clothing, the difference is even more striking. There is an additional problem though, at least in industrialized parts of the world; even the majority of hand weavers are afraid to cut their cloth because they do not know how to make cloth that is meant for clothing. Daryl Lancaster is one of the few American weavers – Laura Frye is another (Canadian) – who has kept that knowledge alive and is passing it on to other hand weavers. Cloth that drapes well isn’t necessarily cloth that will make a garment that will last more than a few washings. Our body-conscious culture prefers lycra to fitted linen; it requires a good understanding of cloth manufacture from an engineering standpoint to make hand woven cloth that can be used for quality garment construction and still both look attractive and be durable. The word ‘sleazy’ referred originally to sheer cloth or cloth made poorly; somewhere along the line it became a word used to mean cheap/tacky/vulgar/low class/whore. It can mean any of those meanings, or all of them depending on context. I try not to romanticize the past; our ancestors mostly lived hard, short lives and I have already exceeded my probable life expectancy compared to 100 years ago. I would not have even survived to bear children were it not for antibiotics. I do think, though, that in many ways living standards for the average person, as compared to the wealthy, have declined since the Middle Ages. 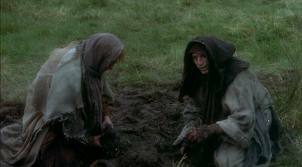 It seems to me that while a serf might have been effectively a slave, it was also the case that the lord was perfectly aware that their wealth derived from the work of the serfs on the land they all shared. Not shared in the sense that the serf owned it, but that they were entitled to live on it, they were entitled to work it, and their time was basically their own once the work for the lords was done. Work that didn’t require hours of time every single day but rather sporadically and in bursts as the seasons dictated. 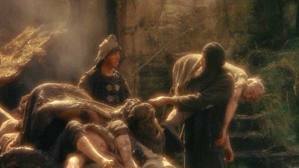 The lords did not have access to much better medicine or treatments than the serfs; they didn’t live much longer lives, and they didn’t live (too much) in a way that was drastically better than the serfs. The plague took as many of the gentry and nobility, percentage wise, as it did the serfs, just as an example. The Industrial Revolution finished the decline that began more than 200 years previously. It destroyed sustainable peasantry, their leisure time, their self determination (within limits, of course), and concentrated wealth in the hands of a few who DID live drastically differently and better than their peasants. This is the time in history when money became essential to life for all classes. Which, of course, puts the poor at a serious disadvantage and effectively makes them slaves to the wealthy in a far more dehumanizing way than serfdom ever did. I think perhaps this is why Jane Austen’s novels are so beloved by so many knitters and crafters in America. They romanticize the time without realizing how very destructive that time was to their ancestors, those who were lucky (or unlucky) enough to survive the final destruction of an entire way of life. They see the leisure of Jane’s characters as indicative of a time gone by without stopping to think that, for the vast majority of us, we would NOT have been the ones with the leisure time, we would have been the ones working 7 days a week as a servant, going without adequate sleep for the entirety of our lives. Or we would have been factory workers, working 7 days a week in a dark workhouse, straining to see by candlelight, being always hungry. The grace and beauty of that time period belonged only to the wealthy. In the Middle Ages, even noble-born women were expected to spin, to weave, to sew and embroider, and to mend, as well as manage their households and act in the name of their husband. They did not — could not — leave those tasks to their servants. It was expected that all people in a household, nobility included, would contribute to the production of household goods. Just as a late example: Queen Katherine, Henry VIII’s first wife, continued to make his shirts for him until Anne Boleyn demanded he stop accepting them. Distributism is the technical term for the economic model that arises from re-localization. And it is an economic model that allows for hand woven cloth, the economy of chickens, and of small farms, and community self sufficiency. It does not require money as the only coin of exchange. It is the model of the Middle Ages, the model of the Shakers and other religious communes of the 18th and 19th centuries, the model that was destroyed in favor of savage capitalism. It is the model that values the economy of hand woven cloth, and the clothing and items made from it, over mass produced inferior cloth. If we rely on money alone, hand woven items are something only the wealthy acquire and value. If we rely on interconnectedness, on trading within and among communities for those things we don’t or can’t produce, it is the only affordable choice. Anxiety and Stress and Pockets, oh my! 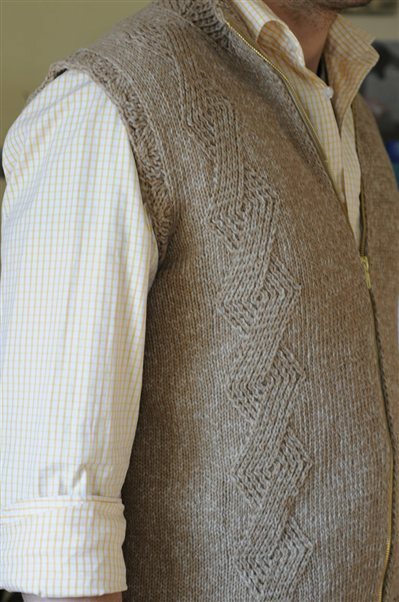 I knitted a vest similar to this for my middle son. He tried it on in September, not knowing it was for him, and said it would be perfect if it had pockets. *sigh* I agree with this assessment, unfortunately, but didn’t even begin to think of it when I was knitting. 2. I didn’t follow the pattern exactly, but I wasn’t sure exactly what was going on so I followed the stitch numbers on each side of the fronts, which are different. So the measurements for the pockets are going to involve complicated calculations of gauge so each pocket is the same width. I have terrible anxiety about snipping stitches in a non real wool yarn! I practically never knit anything with anything other than either hand spun or good quality real natural fibers; this was a fluke – I had purchased the yarn for another project for a different family member but couldn’t bring myself to actually use it. It turned out to be a good choice for this vest and I had to use it up anyway, so there we are. My family members’ aversion to actual wool, because of their aversion to hand washing, is just puzzling. Yes, it might take a little more care, but for a garment that will last as long as you want to keep wearing it, why wouldn’t you wash it once or twice a year? For the ones that are local to me, I even told them to give it back when they want it washed so I know it gets done right. The job is still on a learning curve. But it’s fun. And school is stressful but that’s me putting expectations on myself more so than the actual work — except for the weeks I am on call! I have to be on call for a solid week at a time for this job, and that means I end up working full days every weekend in addition to the regular week…which means I get no home work done and have no time to recuperate from the week. That’s supposed to be changing soon — I will still be on call but hopefully the load of regular weekly duties will be lightened a little as they just hired another person who will be doing much of the driving stuff.